Future Foundations is delighted to invite applications to take part in an exciting prestigious leadership and sustainable development programme hosted by Alfaisal University. Once you have submitted registration form and paid your fees you will be contacted by a member of our GSL team with next steps. If you have siblings or friends with children aged 8 to 15, our partner Role Models is running their renowned Leadership and Resilience courses for this age group on the same dates and times at Alfaisal University. Please note their last courses in KSA, were fully booked, so book by 7th December to avoid disappointment. We offer £50 sibling discounts and unlimited mutual referral discounts available if you have friends who are interested. Booking discounts and referrals are available for Role Models courses as well as Future Foundations courses. This programme is delivered in partnership with Alfaisal University. Booking has closed for this programme. We are not taking any further bookings. Global Social Leaders (GSL) Catalyst is a unique 5-day intensive leadership course, designed to develop your leadership skills and your understanding of global issues enabling you to be a leader in your life and society. In winter 2018/19 Alfaisal University and Future Foundations are running a GSL Catalyst programme hosted at Alfaisal University, Al Zahrawi Street, Al Maather, Al Takhassusi Rd, Riyadh 11533 for student groups aged 16-18 and 18-21 years old. Participants will develop their understanding of the global challenges we face and how, through partnership and innovation, we can solve them. They will be taken through real life cases to demonstrate great project management and how to create their own impactful projects to take on after the programme ends. After the programme, participants will be challenged to start their own social action projects working in teams of 3 to 7 students which will make tangible changes within school and the community (local, national or global). 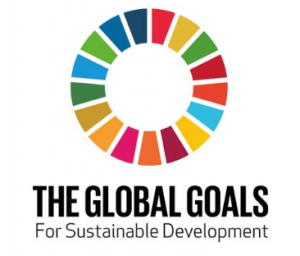 They will be invited to enter the GSL Global Goals Competition. 5 days of GSL training consisting of interactive workshops, experiential team tasks, personalised coaching and activities with qualified Future Foundations Coaches. Price for students is £620 before 7th December 2018. After this date the price will be £720.